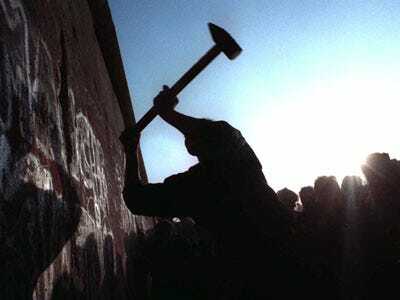 16 per cent of respondents to a 1001 person survey by German newspaper Bild have said that “nothing better could possibly happen” than the Berlin wall going back up. Freedom wasn’t high on the agenda either side of the wall, with 28% of East German respondents saying it was a political priority, and 42% of West Germans agreeing, according to Bild. Many of the survey’s respondents were also willing to sell their votes for 5000 euros ($6869), 1 in 7 East Germans and 1 in 12 West Germans.